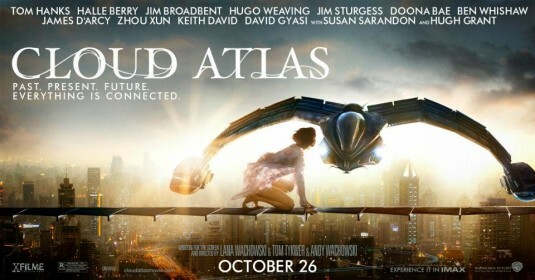 Cloud Atlas, The movie adaptation of David Mitchell’s fantasy novel. Cloud Atlas sounds like a marvelous mess! It looks like they’re telling many stories, but ultimately they all come together. Can’t wait to see the film!